ATTN: SE Michigan Members! 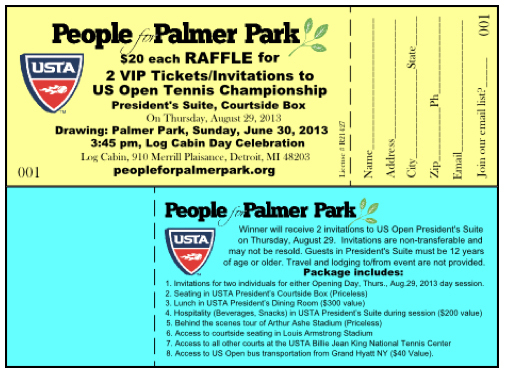 WIN TWO TICKETS TO THE US OPEN PRESIDENT'S BOX! from noon-3:30pm every Saturday beginning May 18th. Drawing will be held at the Palmer Park Log Cabin Day on Sunday, June 30th. The only way to experience the US Open President’s Courtside Box is by invitation only from the current USTA President. OF THE MOST PRESTIGIOUS TENNIS EVENT IN THE NATION!